A great nonstick cookware set for any kitchen! 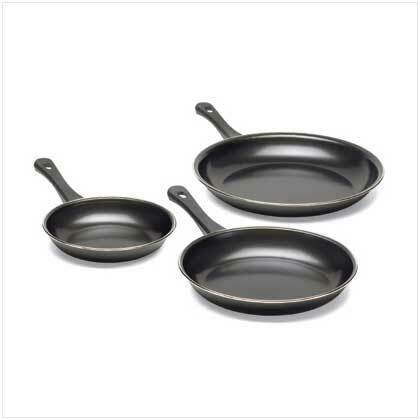 Check out this Carbon Steel 3-Piece Nonstick Frying Pans Cookware Set! These 3 sizes in fry pans offer versatility for cooking quantities or different recipes for small to large numbers of people. Nonstick pans are a plus when you want ease in cooking and quick cleanup. This steel cookware has durable, heat insulated handles that stay cool to the touch. Carbon steel Is durable and heavy weight. Nonstick pans Make cooking and cleanup quick and easy for a busy lifestyle. Use safe utensils That will not scratch the interior coated surface. Handles Are heat insulated and stay cool to the touch.